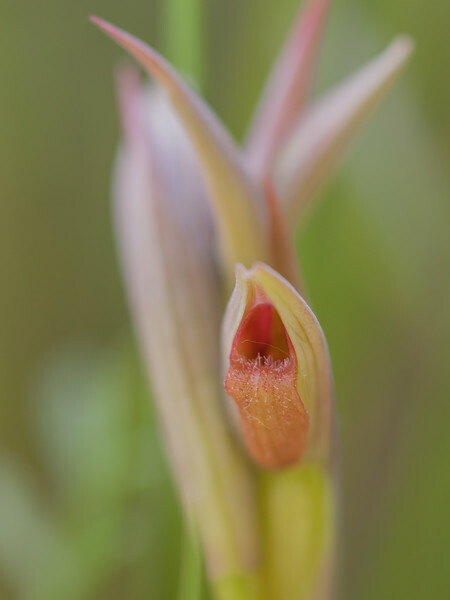 Today's Flora contribution is not about a particular species of flower, but an entire genus: Serapias or tongue orchids. 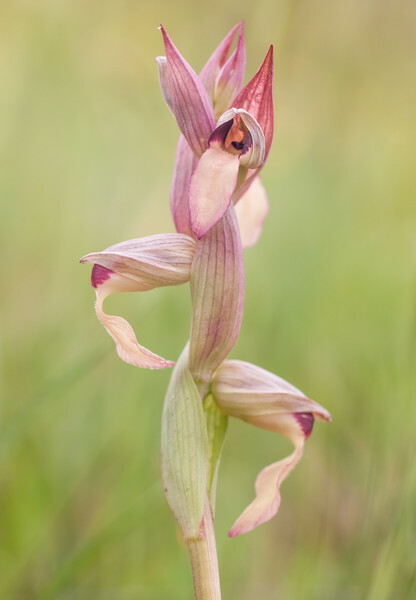 At least 15 species of Serapias are distinguished, which are all characterised by a long, tongue-like lip and a "head" or "helmed" that is formed by two petals and a sepal. The overall structure and aspect of these beautiful flowers is so unique and recognisable that it may be justified treating them together. In addition, and to my shame (I am a biologist after all), I may have misidentified some of the species. 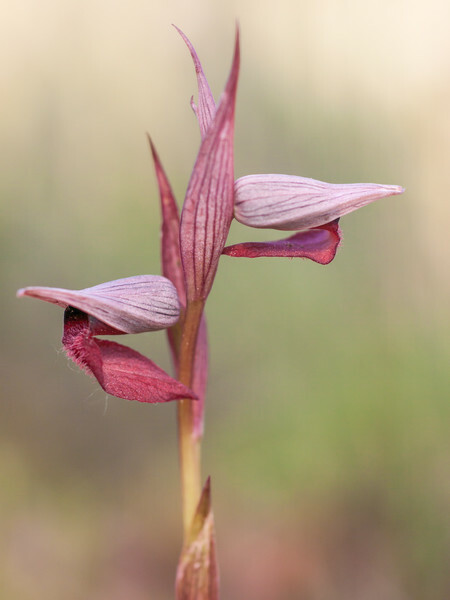 If you are a Serapias specialist and have something to comment or correct, please let me know! 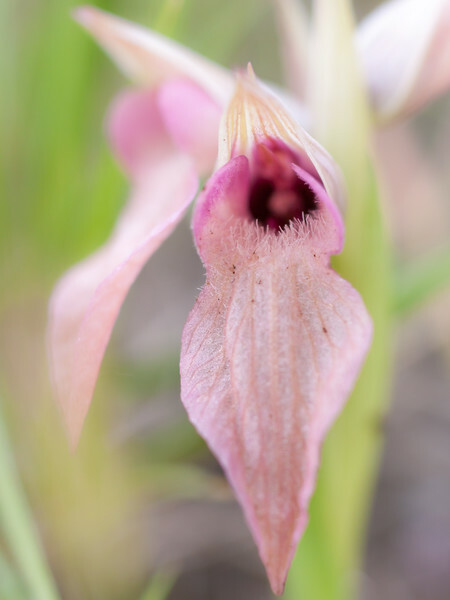 To my defence, there is even a scientific reason why some Serapias individuals may be difficult to identify correctly: The colour of the flowers is often quite variable, there a closely resembling subspecies, and different species easily hybridise and thus create intermediate forms. 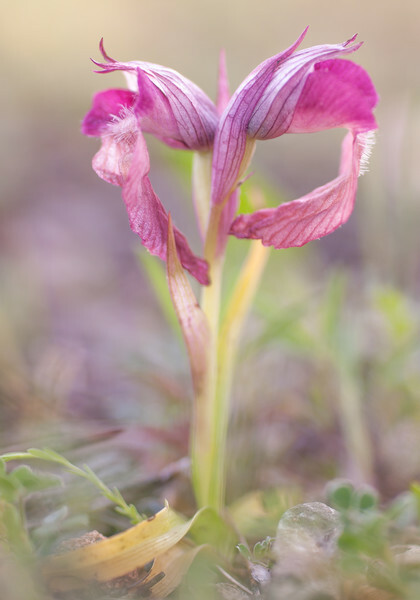 Species in the genus Serapias are native to Europe and most frequent around the Mediterranean; all the way from Spain to Greece, and Turkey. 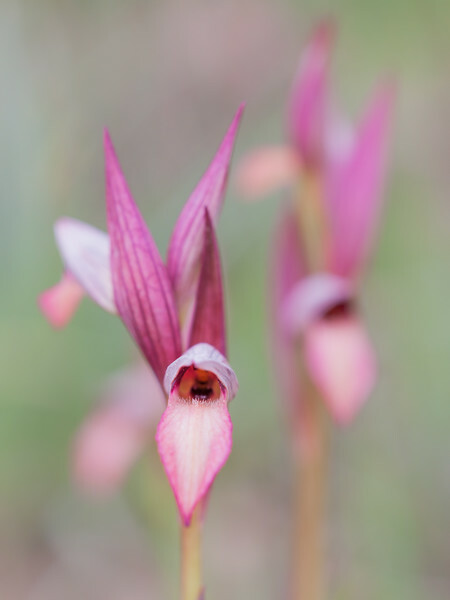 Apparently, these orchids are named after the god Serapis, which was promoted as a deity to unify the Greek and Egyptians in the reign of Ptolemy I of Egypt (in the 3rd century BC; it is not obvious to me how this may be related to these orchids). 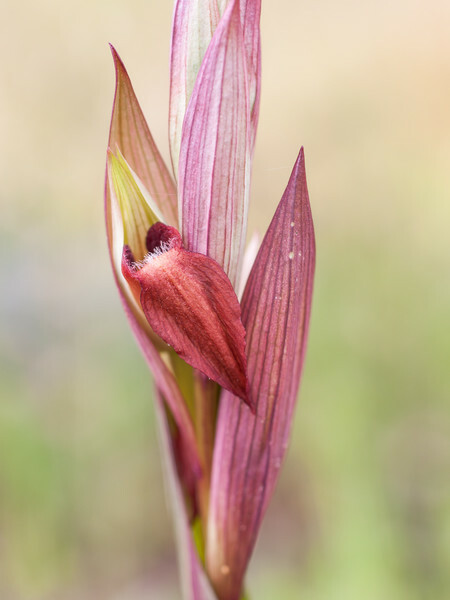 Although some Serapias species may grow tall and be easily spotted, many species are tiny and hidden within the grass and undergrowth (especially S. parviflora). 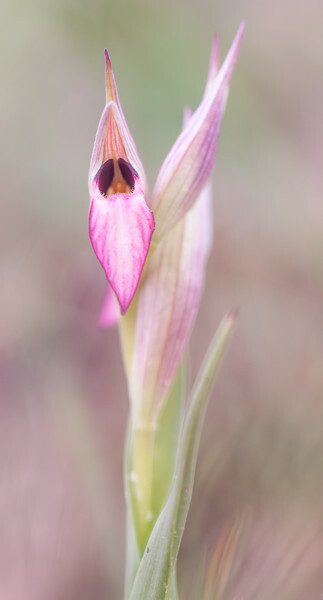 Often we have been standing next to a couple of tiny pinkish Serapias flowers without noticing them at once. Luckily, with time we have become better at spotting them. To me, these orchids signify holidays in sunny and warm mediterranean climate. 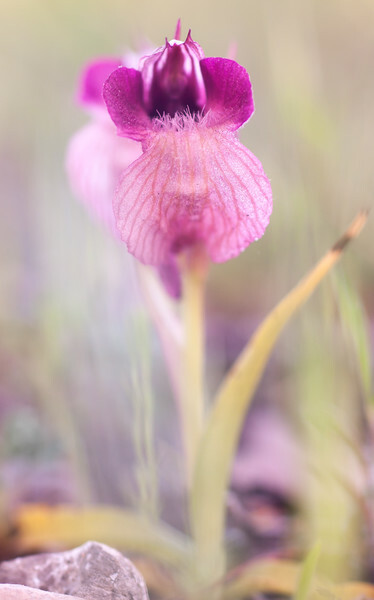 I have only ever seen Serapias species during spring vacations, at the end of April and beginning of May, in Corsica, the Provence and Côte Azur. All the photographs shown here were created this spring somewhere between Aix-en-Provence and Cannes.